Home, Door and Window Products has over 30 years of experience in the storm door industry, providing the Greater Metropolitan area with top brands storm doors from the best manufacturers. Home and Door has Fox storm doors and Trapp storm doors in stock. 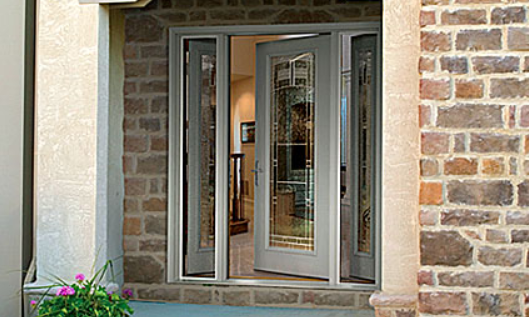 Our knowledgeable, trained staff can help you chose the best storm door for your beautiful Dearborn home or business. Home and Door is a trustworthy company, and we can ensure you the highest quality, the best service, and most importantly, affordability. Dearborn, Michigan is located in Wayne County and is the 8th largest city in the state of Michigan. Over 98,000 residents live in Dearborn, and they know that Home and Door’s security storm doors will increase the security and safety of their residential home or commercial business. All of our storm doors are of excellent quality, and Home and Door can create a custom security storm door to match your home’s style. Adding security storm doors to your residence will add instant curb appeal enhancing the beauty of your home. Home and Door has a large selection of elegant Fox storm doors and a variety of beautiful Trapp storm doors displayed at our beautiful showroom in Berkley, Michigan. You won’t find a better quality storm door in the area. Home and Door has friendly knowledgeable staff available to help you find a storm door that matches your distinctive style. Set up your FREE in-home estimate and consultation today! For more information about our custom storm doors contact Home, Door and Window Products at (248) 399-9900.